I looked out to Port Angeles and the Pacific Ocean with my mouth agape. I couldn’t stop but think, “This looks incredible.” The water was relaxing and soothing with the lighting giving off the warmest shade I had seen in a very long time. I took a picture and after 5 minutes of just peering off into the distance, I finally moved Delsin Rowe for the first time. That’s when it hit me that this was the next generation of consoles and this was most definitely an Infamous game through and through. The Infamous series has always been a strong franchise for Sony and developer Sucker Punch. Impressive visuals, a good story, and top-notch gameplay have combined in the previous two installments to make for fantastic gaming experiences. 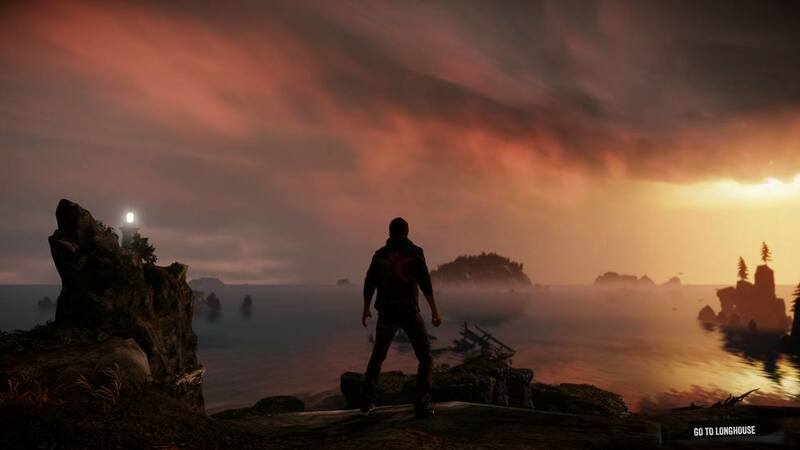 Sucker Punch continues this tradition with Second Son; the PS4 exclusive that demonstrates how the early stages new consoles can still look great. 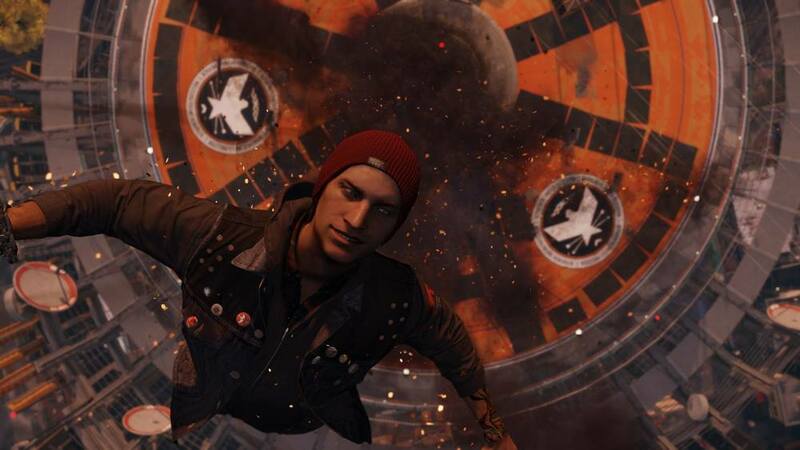 Delsin Rowe is your typical twenty-something in Second Son. He has no direction and no alliances other than to his tribe of Akomish Native Americans when you first start the game. The only other family that we are introduced to is his brother Reggie and their relationship is rocky to say the least. Being a police officer, Reggie is sort of tired of his delinquent little brother. The relationship they share is intriguing and keeps interesting throughout the game. We are also introduced to one of the tribeswomen, Betty, with whom we would assume is important to the two brothers, but sadly not much is divulged in her backstory. When a truck transporting conduits to a detention center flips, the inmates escape and through a series of events, Delsin absorbs the power of smoke. 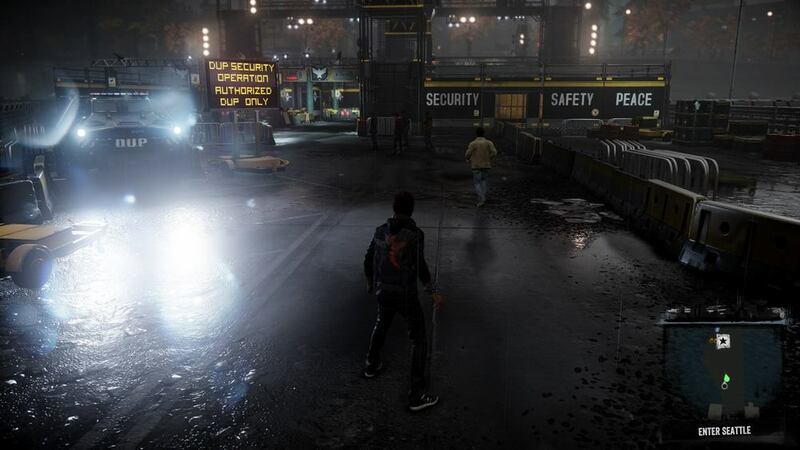 Unfortunately, the accident brings attention to Second Son’s villain, Brooke Augustine, and her militia called the D.U.P. Using her power of stone, she incapacitates many of Rowe’s tribe including Betty setting Delsin on a mission to locate and absorb Augustine’s power to save his people. The story’s real strengths lie with the relationship Delsin has with Reggie. Reggie, his big brother, wants to fix Delsin’s “affliction” and it is his top priority; watching the development of his feelings towards conduits is wonderful to experience. Where the story struggles is the “why”. Why would Delsin really care? Until first realizing he had the power of absorption, Delsin was just a graffiti artist without the slightest ambition. This made it slightly hard to believe that he would put the weight of the world on his shoulders regardless of who was hurt. Being that his brother is the Sheriff, it seemed more likely to let Reggie handle the situation in its entirety. Another point of contention is the use of the morality and karma, or lack thereof. It was really the first time when playing an Infamous game that I felt it was not only pointless, but almost tacked on. The first installment had a crucial decision that made me pause the game to contemplate what my choice should be. Second Son was sorely lacking in the choice department. The decisions were clearly labelled. Left or right. Red or blue. Games that incorporate choices should really start introducing the moral grey area; something I thought was done well in the first Infamous and occasionally in Infamous 2. Kids, in life things are often not easily represented as good or evil. Sometimes the right thing to do can be perceived as bad and vice versa. Second Son laid the cards on the table in bright red and blue colors and said to pick. 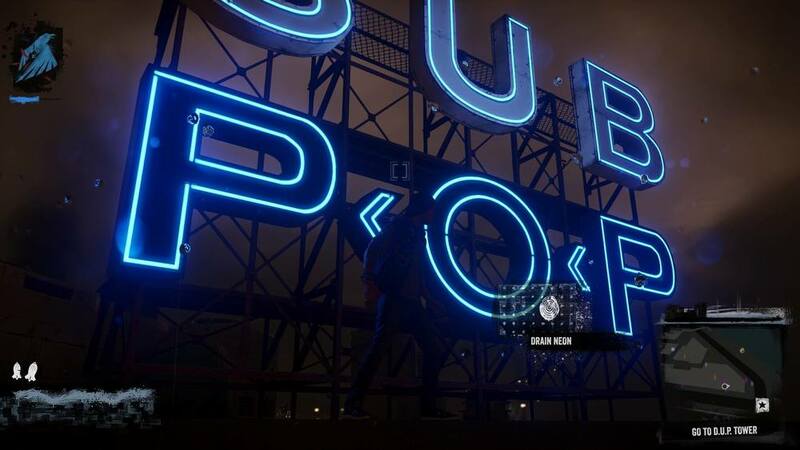 The story may not start off on the strongest foot, but visually, Infamous: Second Son is a masterpiece. This was the first game on either console that made me see what next-gen consoles should look like. It set a bar that will undoubtedly be passed in just mere months, but the bar has been set nonetheless. The shadows are smooth, the textures are detailed, and the light can be blinding in a way that you can’t help but stare. There is so much detail in every particle that I watched in fascination every time smoke engulfed Delsin or neon flowed into his fingertips. This game is gorgeous and I can’t wait to see what else the PS4 can do. 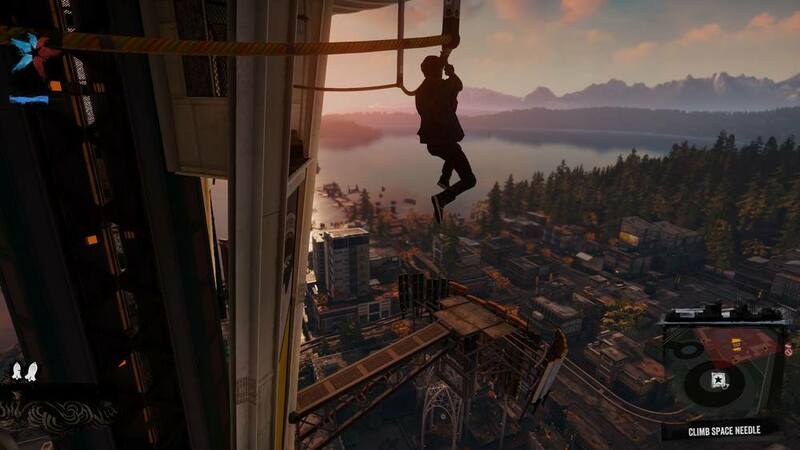 The Infamous games have previously had a parkour type climbing system for getting around the previous locations of Empire City and New Marais. Although the option is there, I rarely found myself using them as other, more interesting ways of travel constantly presented themselves. Traversal in Seattle is as simple as running up walls or phasing through smoke vents that conveniently find themselves everywhere. In fact, unless my currently equipped power made climbing a hindrance – which is extremely rare -- I almost never used the constant mashing of X to climb. Using the powers felt, well, powerful. Each of the four powers had their own distinct feel and usefulness in different combat situations. I enjoyed using the different abilities so much that I spent a huge amount of time collecting power shards to upgrade Delsin, and like previous Infamous games, good and bad karma affect the type of upgrades available. It was a rewarding experience spending an hour searching for shards, then liberating D.U.P. presence in Seattle using burst of neon missiles and watching checkpoints crash to the ground. Although I have never been to Seattle personally, I can say that the city represented is exactly as I’d imagine the city to be. In fact, I confirmed the vibe presented in the game with my friend from Seattle. Not being into video games in the slightest, it was awesome to see her excitement as I showed her the famous Elephant Super Car Wash or the Space Needle. “It reminds me of home,” she kept saying with a smile as I showed her more pictures taken using the PS Share button. With Sucker Punch’s office actually located in Seattle, there was definitely extra care and attention to detail put into the world. The atmosphere was on point as tons of NPC’s carried cups of Latte Owl’s Coffee; the developer’s version of Starbucks. It was the perfect setting for the chaos that would ensue thanks to Delsin and his super powered friends. 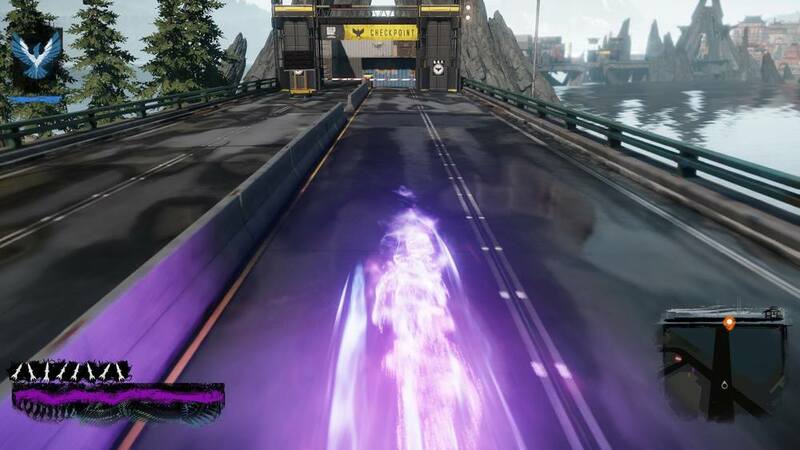 Infamous: Second Son excels in almost every way for tons of hours. The karmic system and story are both rather weak, but the gameplay and visuals make for a must own IP for any PS4 owner. With over 6 million PS4’s in homes, there is no reason why Second Son shouldn’t be in over 6 million homes as well. TJ likes long walks on the Seattle coast and flashing neon lights. Follow him on Twitter.